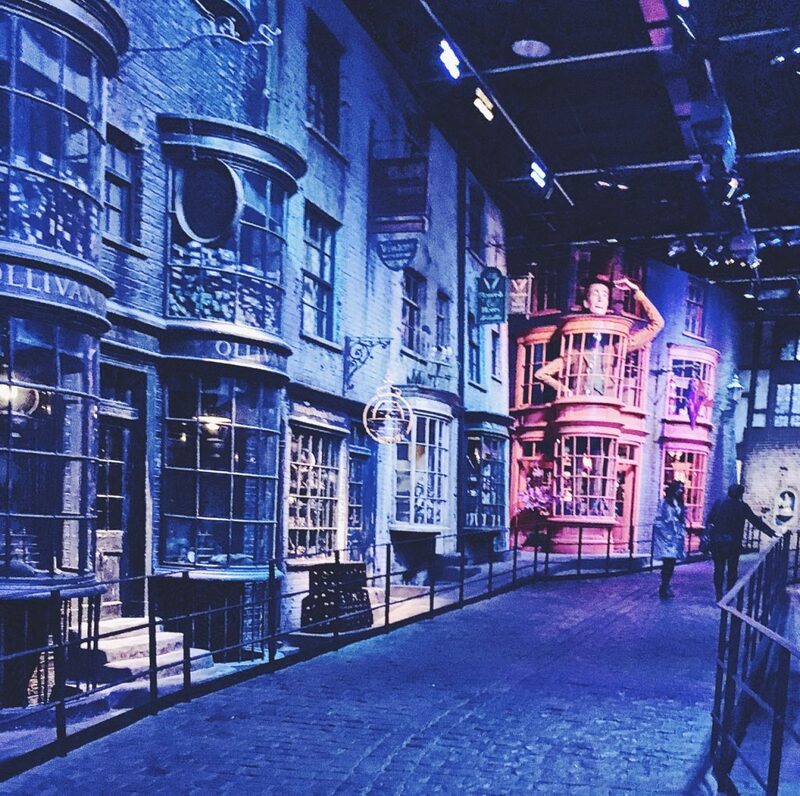 Harry Potter came into my life at a time when I needed him most; I had just started high-school and suddenly realised that I was different from most people my age. Now, I am not much of a reader as I am so severely dyslexic and sitting down with a book is more of a challenge than a pleasure, but Linda always understood my taste so I thought it was worth giving it a go. 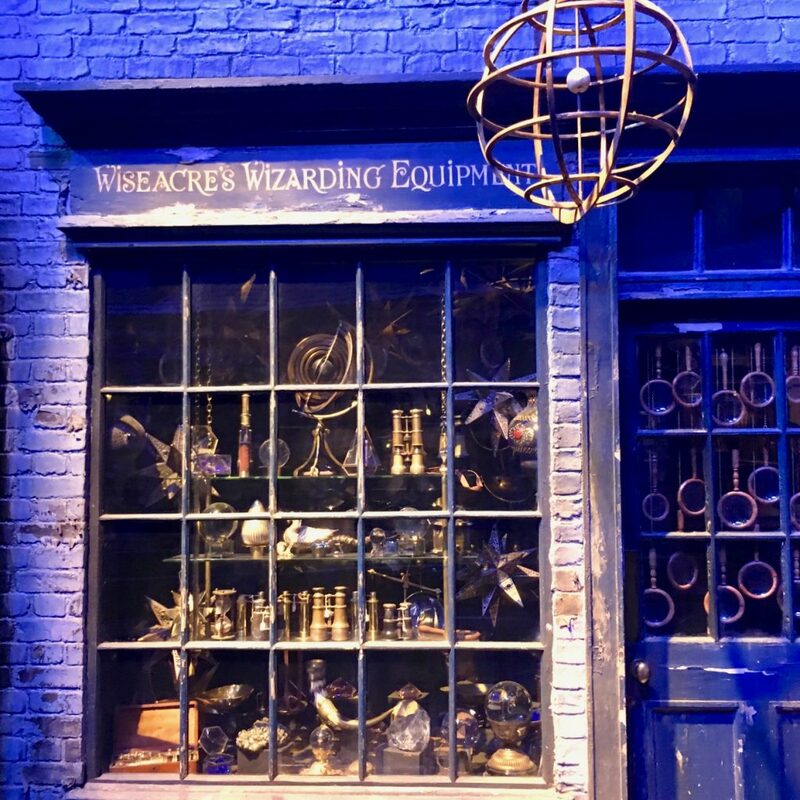 Soon I was hooked and though I made up how to say many of the complicated names, potions and spells I finally understood why people loved to read. Each year I entered further into my teens life only seemed to only get more difficult, but I knew there was one place I could go to that would have words of inspiration to get me through even the most difficult days. 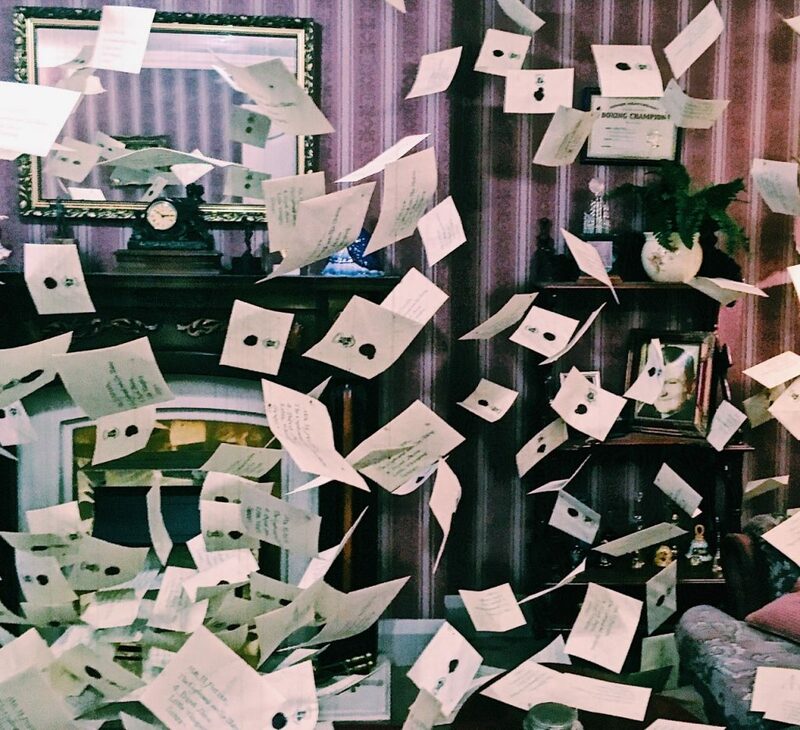 The world of Harry Potter was introduced to me when I was incredibly lonely and felt isolated from the world I was living in, so having another world where strange was celebrated and that I felt connected to gave me hope and a safe space to disappear to, even if just for a little while. 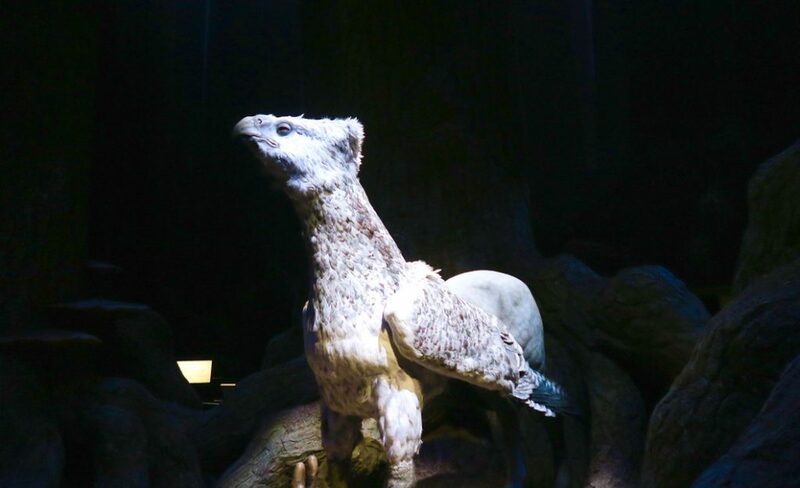 18 years ago when I finished The Chamber of Secrets I would have thought it more likely getting my Hogwarts acceptance letter delivered by owl than being stood in the Great Hall surrounded by friends – but here I was! 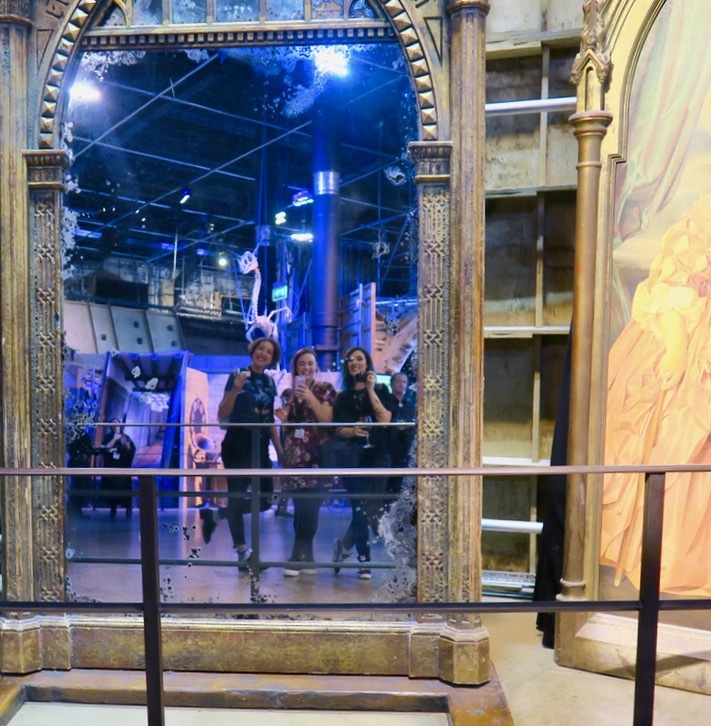 Thanks to Charlie who invited me along to the Warner Brothers Studio Tour to get a preview of the new Wizarding Wardrobe exhibition. 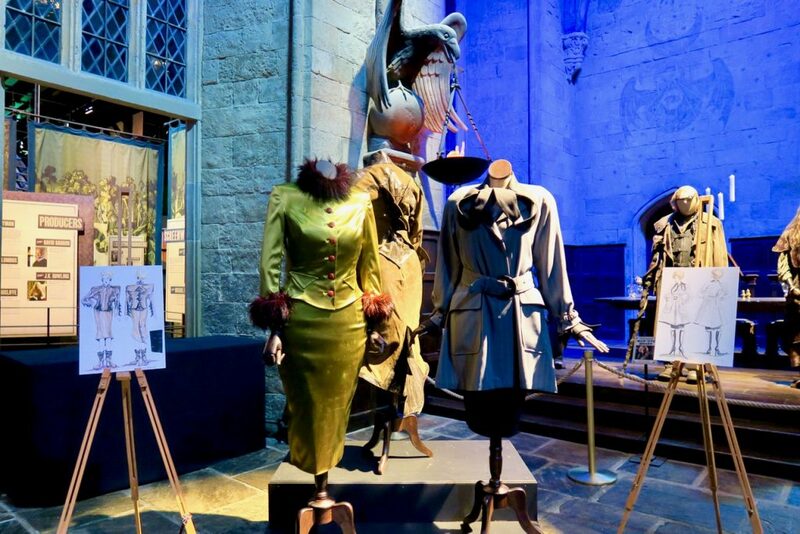 I am very visual person so the details behind the scenes of makeup and wardrobe are absolutely fascinating to me and I couldn’t wait to see see those magical details from the big screen in real life. 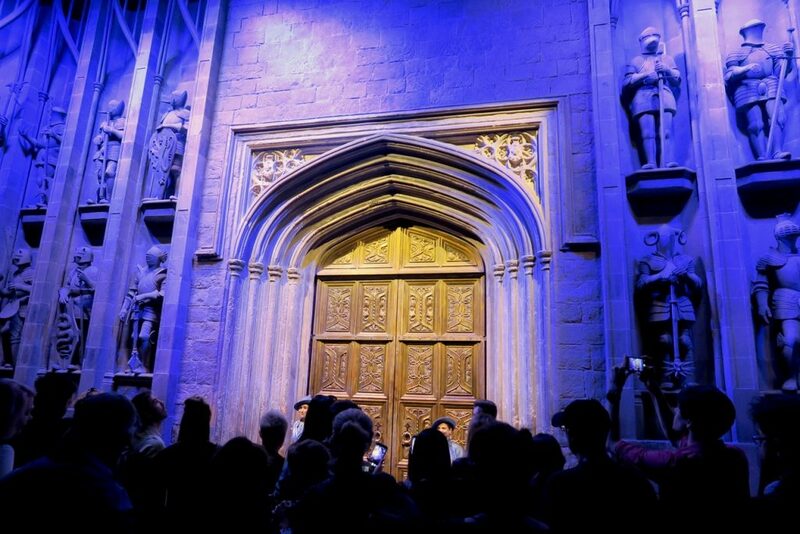 After a quick introduction, and some prosecco potions beside Harry’s bedroom under the stairs, the moment I had been eagerly waiting for arrived – the doors to the great hall were revealed! My heart was racing as AJ took me by the waist and escorted me into a place I had dreamed about for so many years. 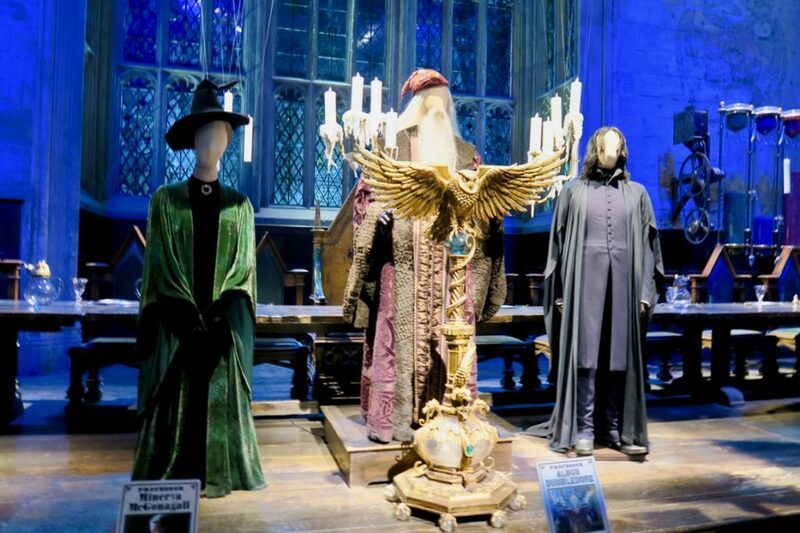 Walking past the dining tables and the costumes representing the four houses, the small crowd stopped just before getting to the top table. 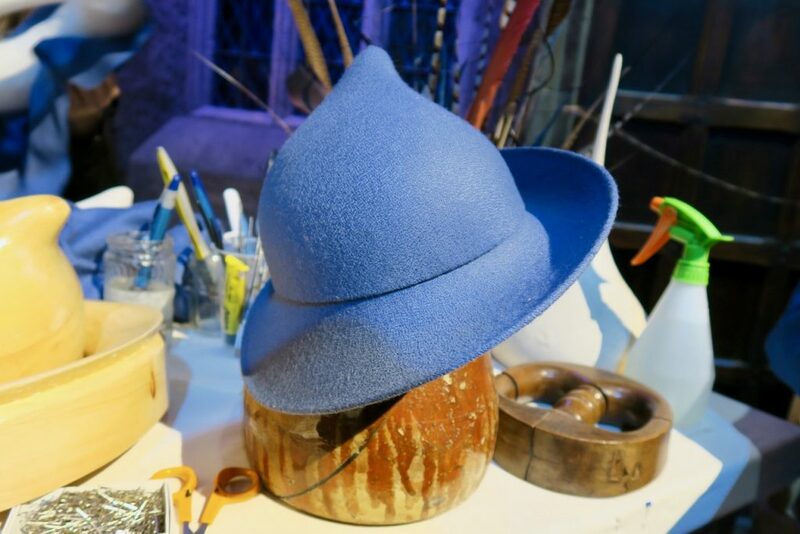 Squeezing our way through suddenly I got a glimpse of what had caused the bottleneck: Philip Treacy, celebrated milliner, was sitting down next to his creations. Though I knew from the invite that he would be in attendance, not in my wildest dreams did I imagine he would be sitting next to his hats just having a chat! As we gathered and listened to his process I tried to think of something interesting to ask but, as always in these situations, my mind drew a blank. On this occasion however, this was a blessing as even though he was happy to answer anything thrown his way. If this questions was not of interest he threw a side of sass in with his response! I love someone who is unashamedly themselves and Philip Treacy proved to be a character as flamboyant as his creations. 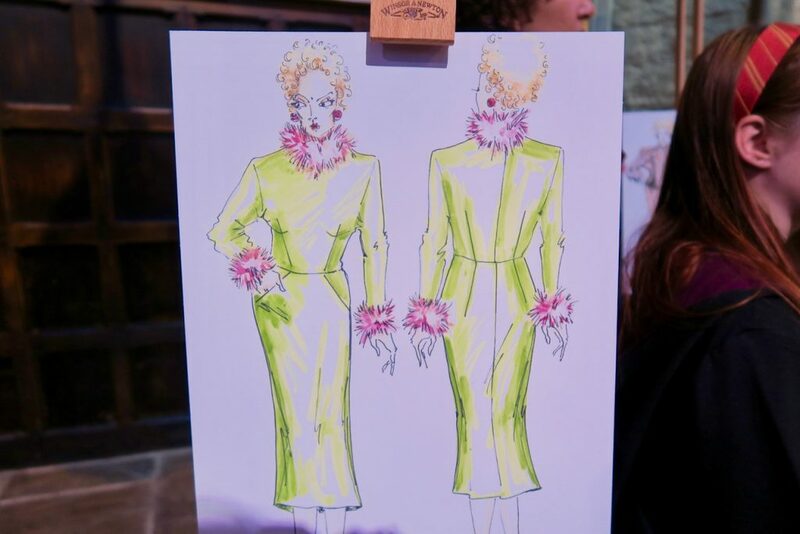 Next we moved on to get a closer look at some of the costumes with designer Laurent Guinci who passionately talked us through his work and how he took the garments all the way from original sketch onto the big screen. 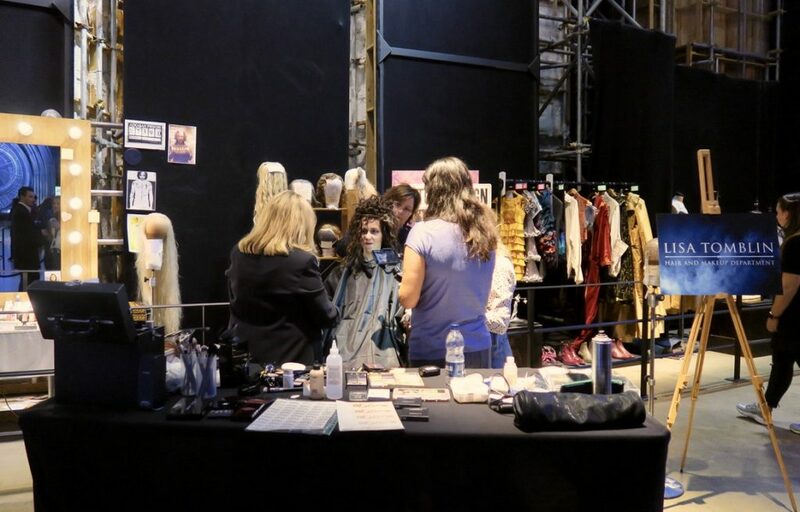 Working our way through to the next part of the studio we stopped to watch hair & make-up artists Amanda Knight and Lisa Tomblin transform a model into Bellatrix; they also chatted to use about the techniques used to create such incredible works of makeup artistry in the films. At this point I don’t think I had said more than two words for over an hour as I was attempting to take in the magic that was all around me. Taking a short break away from the group to try and compose myself enough to at least try and be a little more human. 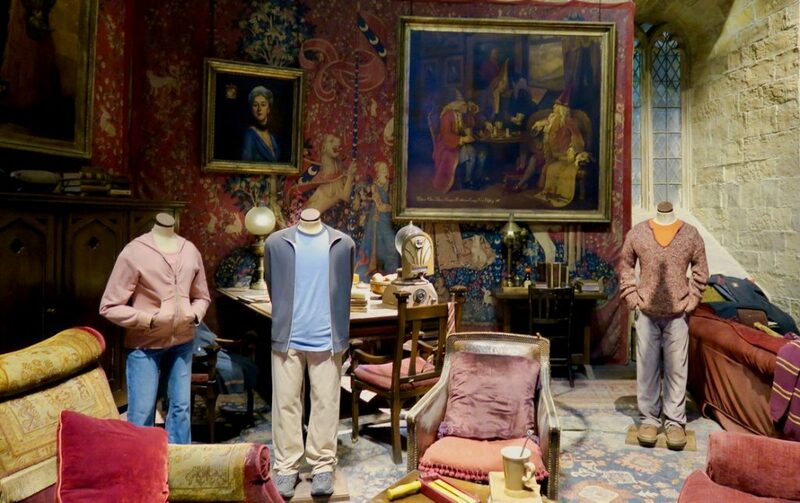 I wandered over to the Gryffindor dorm and Common room, another space I had imagined myself in many times before. 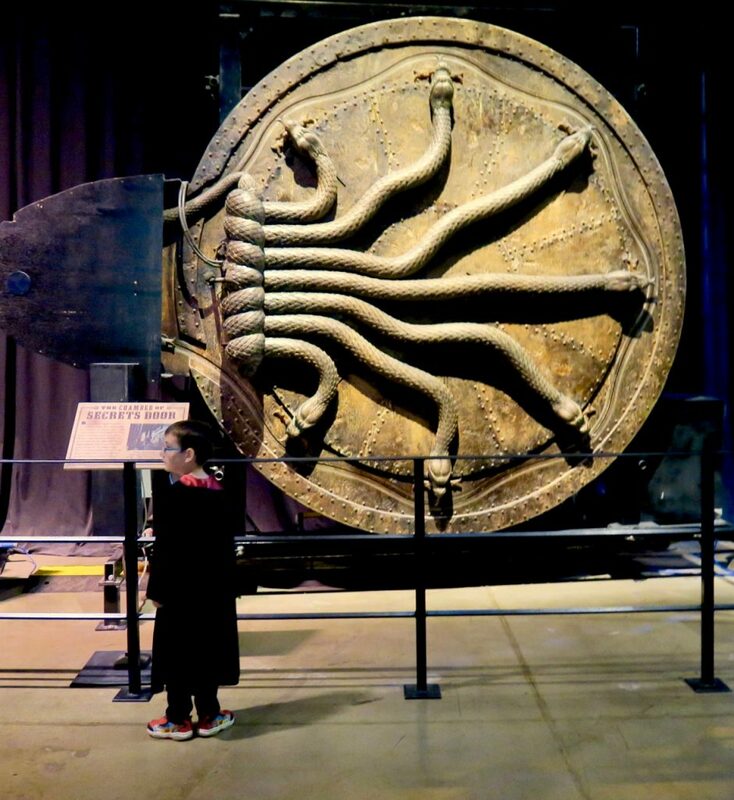 After convincing myself that this was in fact real and not just a dream I returned to Katy getting a dark mark before Charlie transformed into a chair – because anything can happen in the world of Harry Potter. 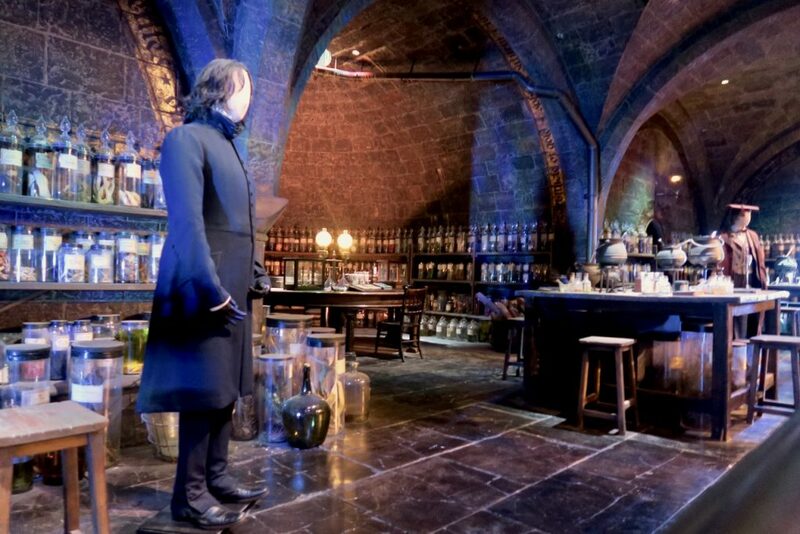 Whilst the hilarious chair banter continued, fellow muggle Erica and I ventured over to see my favourite character, Snape, surrounded by potions. 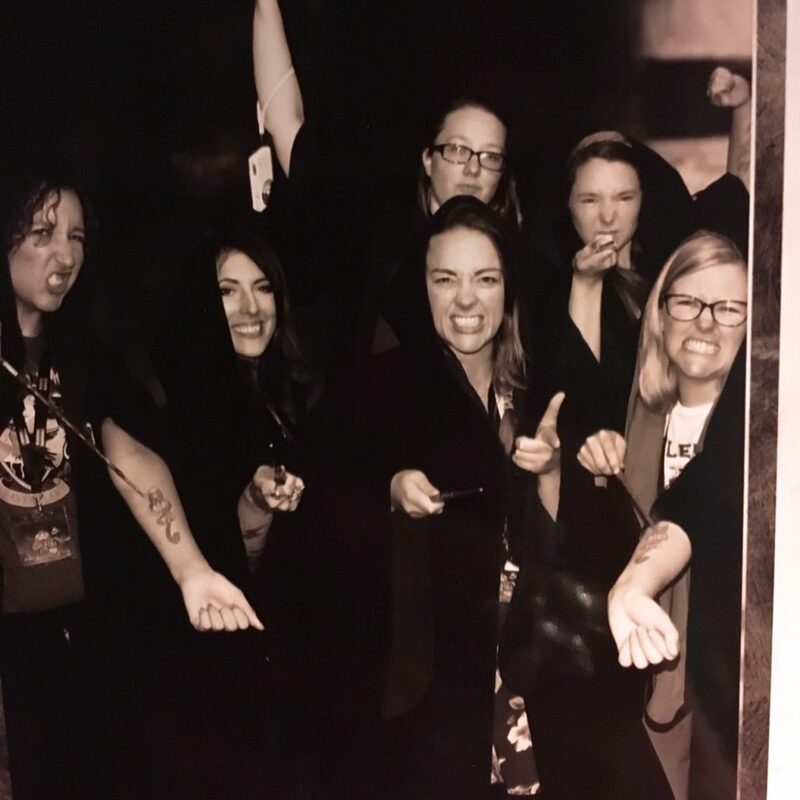 At this point in the evening it was made obvious why muggles are not built for Hogwarts as she almost choked to death on a canapé. 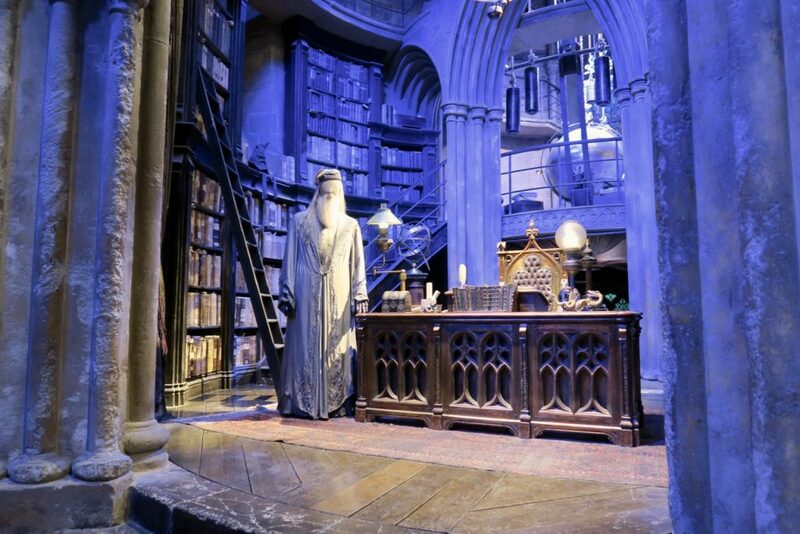 Crisis averted, and Erica still breathing, we went for some calm in Dumbledore’s very impressive office where Leanne explained some of the intricate details of the set to us. 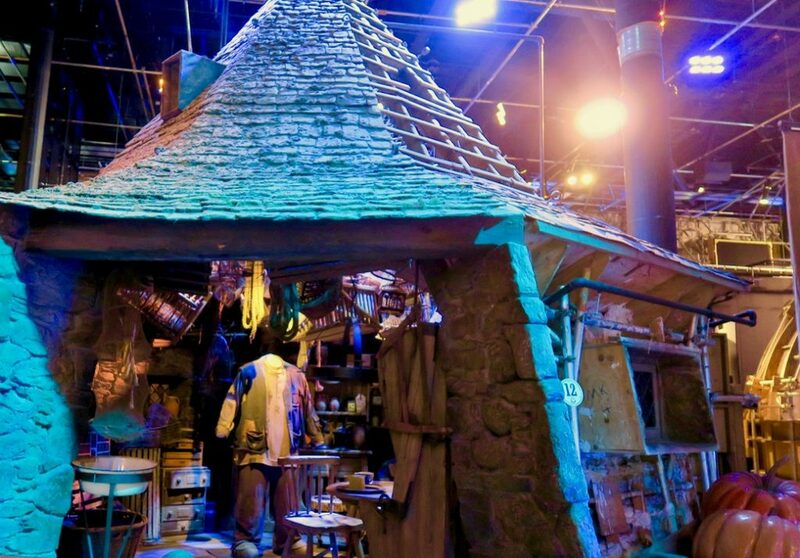 Reaching Hagrid’s cabin I snuck off to enjoy the darker side of Harry Potter’s world, whizzing past the transportation to see Malfoy Manor and the Ministry or Magic; then it was onwards to the enchanted forest. 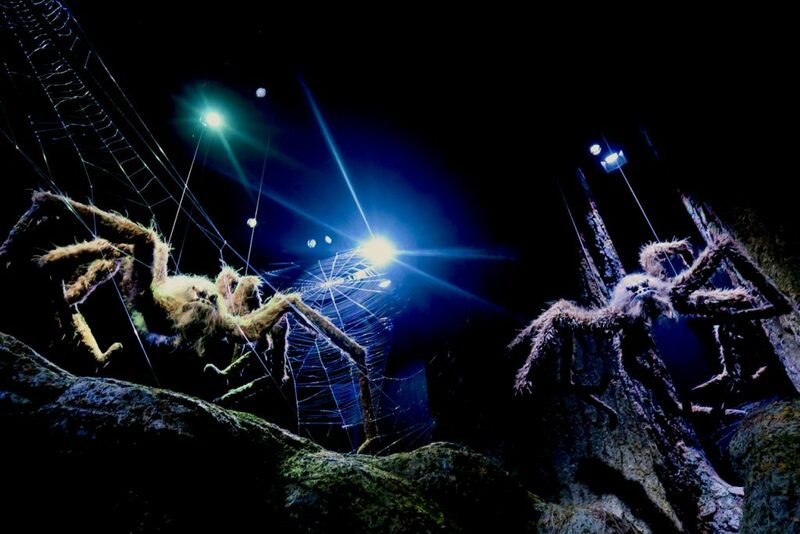 I was lucky that no one else was in the area as I passed by Buckbeak under the huge tree roots and was finally greeted by Arago and his furry 8 legged friends. Seeing this area solo made it all the more creeper and was awesomely eerie, but soon I was beckoned back to the light to get my photo taken. Robes on, we were meant to look terrifying but I just couldn’t wipe the smile off my face. 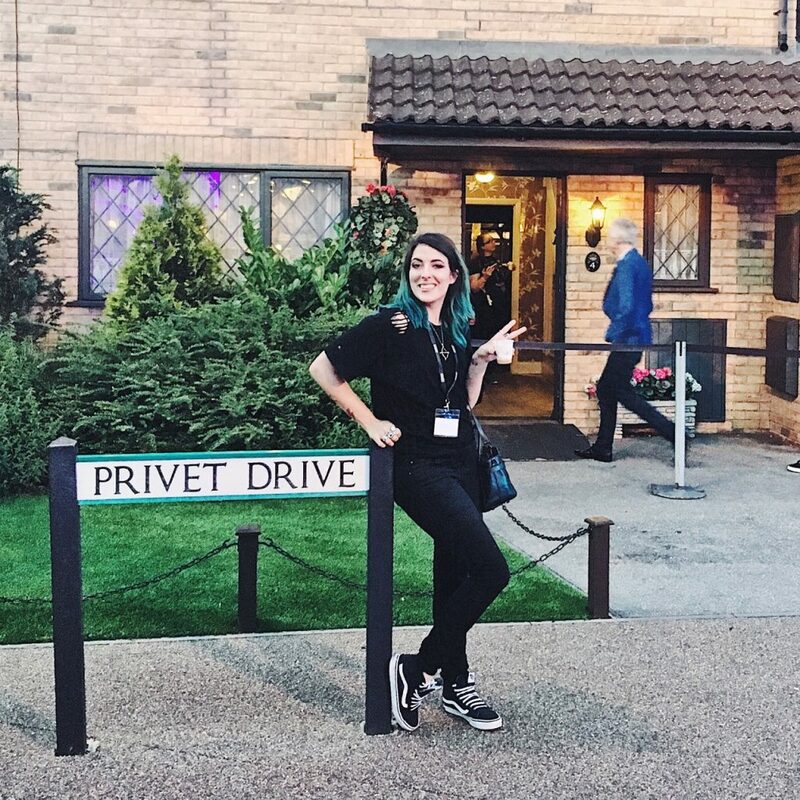 Time was going by at an unbelievable rate and the night was almost over so I frantically made my way back through the forest onto the train where Harry’s journey began, had a quick swig of butter beer then made my way to a perfectly ordinary Privet Drive. This is sadly where I had to leave the girls behind and make my way towards the exit. 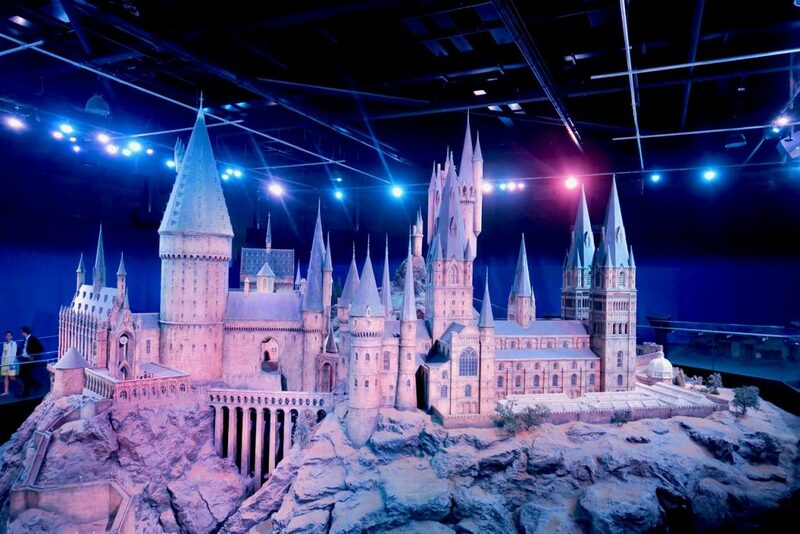 Hugging the best awesome nerds in the world goodbye I scooted by the special effects area, the cobbled streets of diagon alley and then to the grand finale an incredible large scale model of Hogwarts. 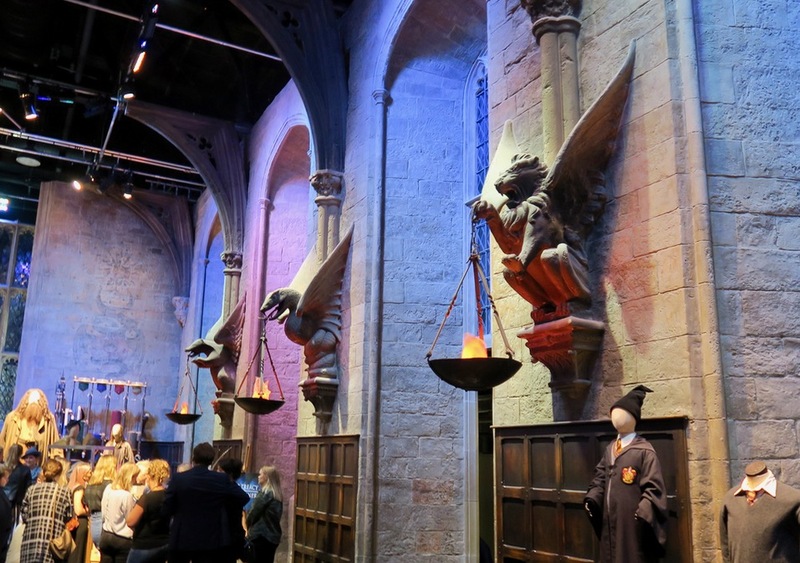 The music, the lighting and the grandeur of the model encapsulated the feeling I associate with Hogwarts and if I had emotions I probably would have cried at seeing the place that had felt like home in my imagination in the flesh. 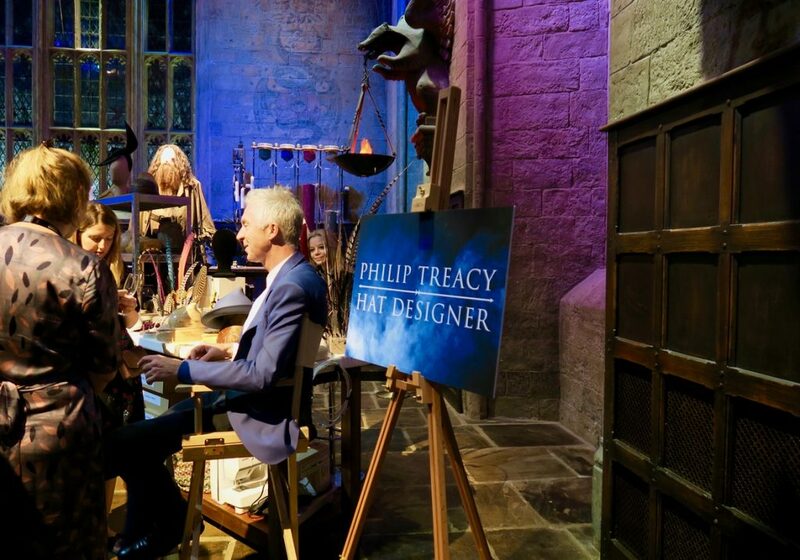 Stepping away from the model, as if by magic Philip Treacy appeared right next to me. This was my opportunity to have a conversation with someone whose work I had admired and career I had followed since choosing him as my art specialist study at the age of 15. I am naturally a very shy and socially awkward person, but then the wise words of RU Paul popped into my head “Don’t f@ck it up” and with some weird surge of confidence I casually asked if he had enjoyed his evening. 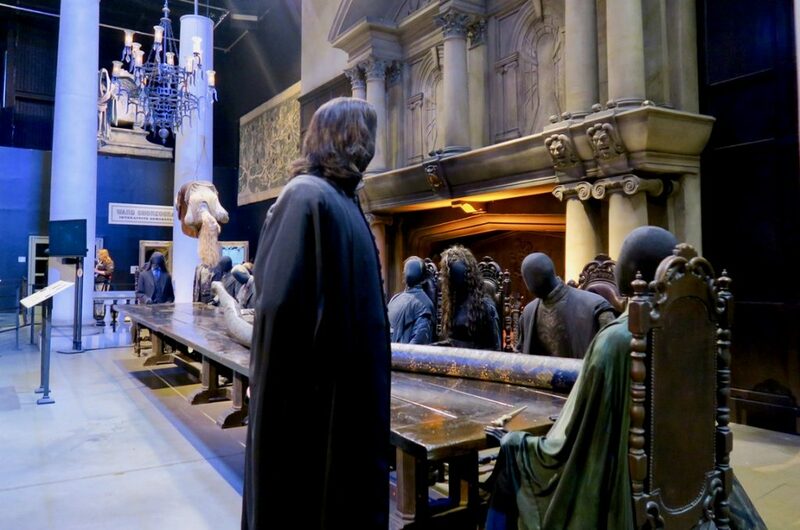 He answered and walked beside me until we reached the wand room where we stood and had an actual conversation about his work and my career change. I thanked him for his time and kind words and was soon spat out from the world of Hogwarts back into reality after a beyond magical experience. 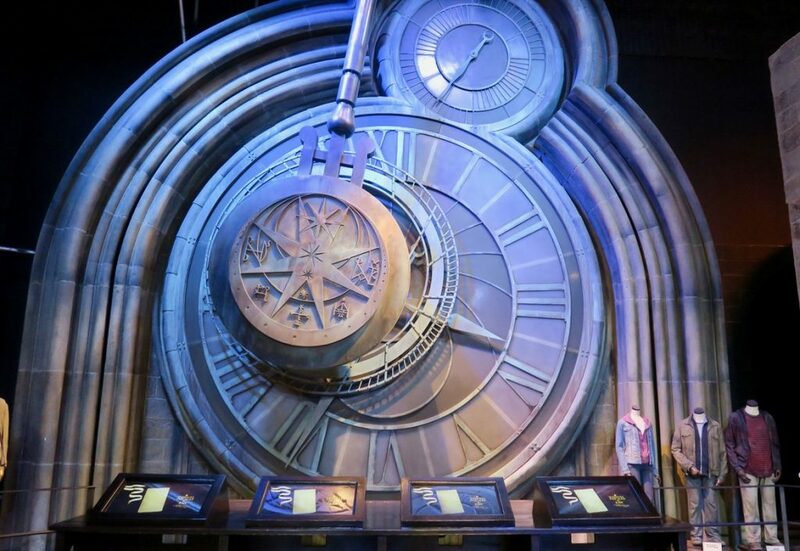 Harry Potter always made me believe that anything was possible, and on my first trip to Warner Brothers Studio I left feeling like it truly is. 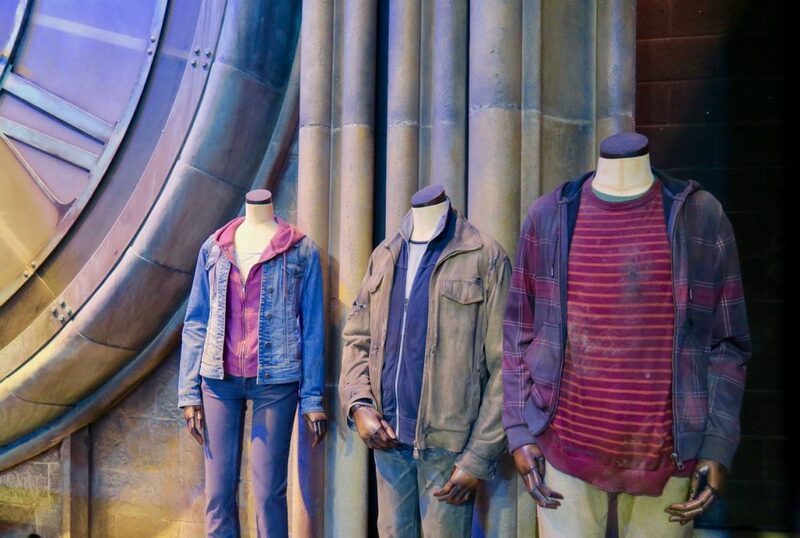 If you want to check out the magic that goes into creating the incredible costume and makeup in the Harry Potter movies then you can from 21st of July, to the 4th of September. This sounds amazing! So cool that you got to experience all this insight into the series! xxxxx (Also side note but I love the Scottish translation at the start!). 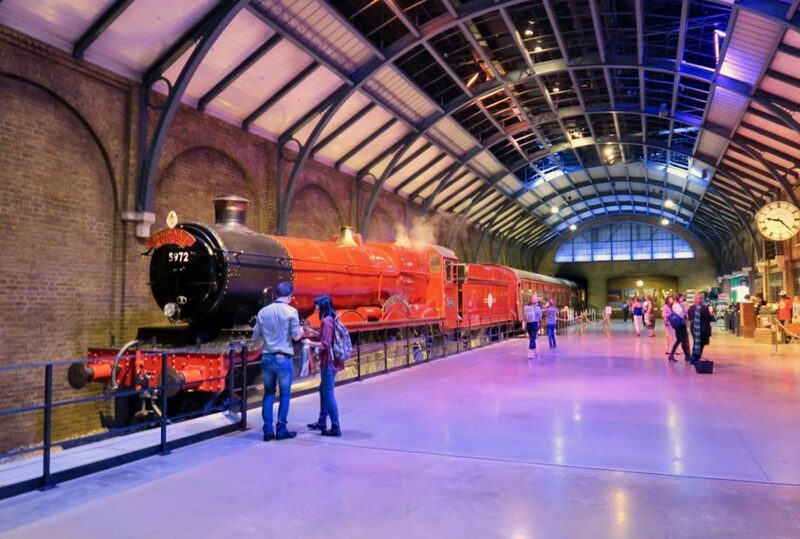 I’m heading back to the studio tour today and I am SO much more excited after reading this! OMG have the best time! !